Networx® Gigabit RJ45 Crossover Adapter is an extremely easy to use crossover adapter which will be the ultimate tool for network techs everywhere. Networx® Gigabit RJ45 Loopback Tester is an extremely easy to use cable tester which will be the ultimate tool for network techs everywhere. Networx® ISDN (BRI) Loopback Adapter is an extremely easy cable tester which will be the ultimate tool for network techs everywhere. Networx® ISDN (PRI) Crossover Adapter is an extremely easy to use crossover adapter which will be the ultimate tool for network techs everywhere. Networx® ISDN (PRI) Loopback Adapter is an extremely easy cable tester which will be the ultimate tool for network techs everywhere. Networx® T1/E1 Crossover Adapter is an extremely easy to use crossover adapter which will be the ultimate tool for network techs everywhere. Networx® RJ45 Crossover Adapter is an extremely easy to use crossover adapter which will be the ultimate tool for network techs everywhere. Networx® RJ45 Loopback Tester is an extremely easy to use cable tester which will be the ultimate tool for network techs everywhere. 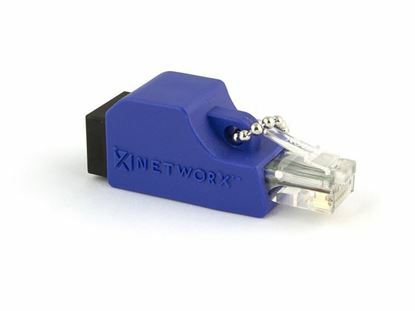 Networx® RJ45 Rollover Adapter is an extremely easy to use rollover adapter which will be the ultimate tool for network techs everywhere.